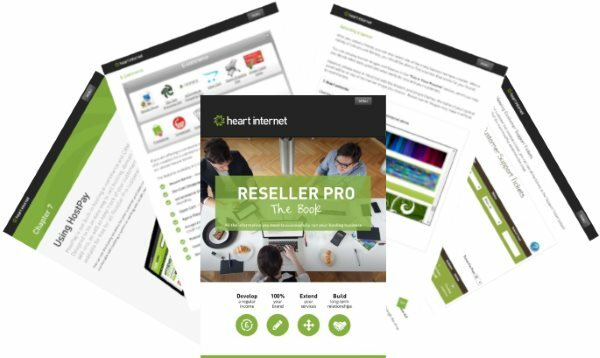 I’m pleased to introduce the Reseller Pro Guide, our detailed guide to everything in our Reseller Pro package. This book includes everything from setting up your first hosting account to working with the API, and gives you the information you need to run your hosting business through our Reseller Pro package. 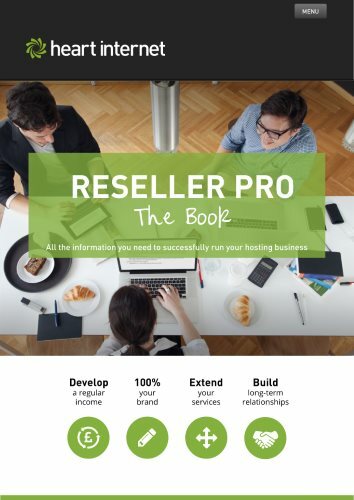 Download the Reseller Pro Guide now. Along with the detailed step-by-step instructions, there are screenshots, tips, and cross-references, as well as a thorough index to make it a breeze to find what you’re looking for. From Accessing Domain Control Panel to WHMCS, we have everything for resellers in one large and convenient book. With 15 chapters and 274 pages, the Reseller Pro Guide has everything you need for your reseller business. With it as your reference, you can easily navigate your Reseller Pro package. Great booklet: Thank you I am sure it will come in useful, but as I have said before you are wanting new customers but a lot of us I am sure are not all designers and programmers and with the competition that is out there sites need to look good and professional. Why don’t you offer a set up service to help you clients? Any plans for a short print run – maybe to raise funds for charity? There currently aren’t plans for a print run, but if we do plan to do so, we’ll let you know! Hello chaps. The guide is great, very detailed. It had been mentioned a few times you were developing a WordPress Plugin for Hostpay. What’s happen with that? I know from Heartcon I’m not the only one waiting with baited breath for that solution. When can we have it! Cheers. We’re still working on the WordPress plugin, and once we’ve finished it, we’ll make sure all our Resellers know about it. Thanks for liking the guide!